The technology arena is getting heated up with the entry of several smart phones on the market, and Samsung and Apple are right at the forefront of this new trend. With the release of the Samsung Galaxy S and the iPhone 4, it appears that the technology hungry masses will have new reason to rejoice. The Galaxy S is a smart phone released by Samsung on March 2010. The phone features a Hummingbird processor rated at 1 GHz, and it also comes with 8 to 16 GB internal Flash memory, a 4-inch touchscreen display with 480×800 pixel capability, a 5-megapixel camera and a VGA camera. The base version of the unit was called the GT-I9000, and it was since followed by numerous models for the U.S. market, among them the Epic 4G, Vibrant, Captivate, and Fascinate. The iPhone 4 is a slate-type smart phone developed by Apple, and it is actually the fourth incarnation of the iPhone line, following the iPhone 3GS. This model is best suited for video call and media tasks such as reading books and other digital publications, watching movies, listening to music, and playing games. 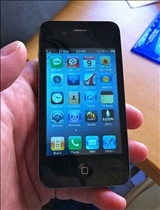 The iPhone 4 can also be used for web and e-mail services, and it was released simultaneously in the U.S., U.K., France, Germany and Japan on June 24, 2010. The Samsung Galaxy S offers a generously sized 4-inch, 480x800 pixel color screen using what the company calls super-AMOLED technology. This is probably the best feature of the Galaxy S, and it is certainly a much bigger screen than its competitors’. This is not to say that the iPhone 4's screen is anything to sneeze at, since at 3.5 inches, it offers 640x960 pixel capability, and comes with a glass Retina display and scratch resistant cover. However, the screen of the Galaxy S is noticeably larger, and is capable of a much crisper image. The iPhone 4 does have a better camera, with a features such as Flash, anti-shake filter, and video calling capabilities that aren't provided by the Samsung Galaxy S’ 5-megapixel back mounted camera. 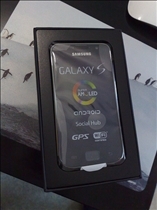 To its credit however, the Galaxy S does allow HD video recording, although the lack of a flash may make it less useful in low light situations. Both the Samsung Galaxy S and the iPhone 4 feature 1GHz processors, with the Samsung utilizing an ARM Cortex A8. The iPhone4 for its part uses a proprietary Apple A4 processor, which to be accurate utilizes the same processor framework as the Samsung' processor. The performance of the Apple processor is of course apparent in the iPad, which uses basically the same type of processor to outstanding result. Which phone attracts higher ratings online?